Waiouru: Maintenant, écoutez très attentivement, je dirai qu'une seule fois! Maintenant, écoutez très attentivement, je dirai qu'une seule fois! Now my schoolboy French is almost non existent as I only got 4% in the final exam. The post title may, or may not, make sense. If it’s garbage then I blame Google Translate. We caught a Virgin train from Birmingham to London Euston station and then walked to Kings Cross St Pancreas where we had to wait until 6.30pm for our Eurostar connection. It was rather surprising to discover there was no UK Border Agency check to leave the UK. Obviously the emphasis is on protecting the entry rather than the exit. 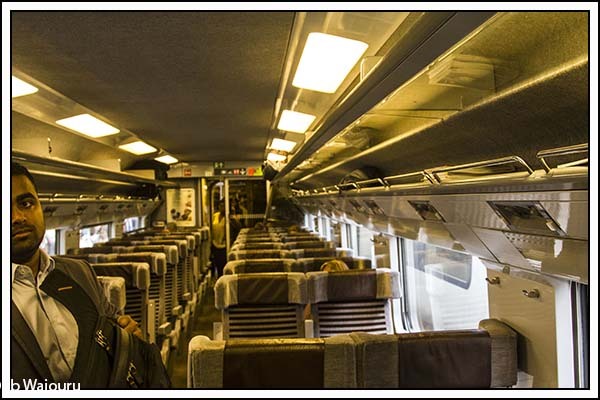 There was also an immediate culture shock when we realised the bulk of the waiting passengers were speaking french. However it wasn’t hard to spot the Aussie tourist with his blue floral shirt, sandals and long shorts with the “sunnies” on the top of his head. Yes…. He was even eating traditional Australia food…. a hot meat pie! The departure lounge in London was certainly better than Paris. The carriages were comfortable but the upholstery on the seats was starting to look “tired” with frayed seams. 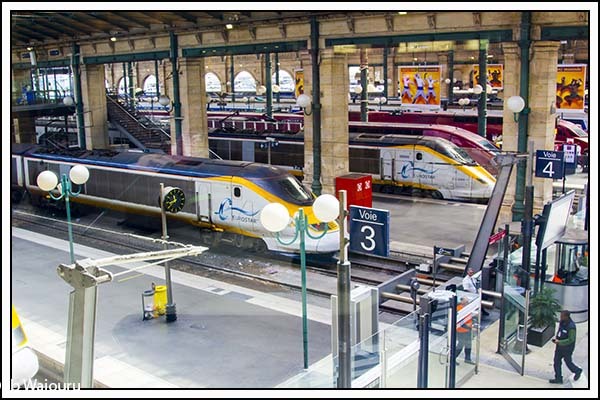 Did our first high speed rail journey seem special? Not really…..! 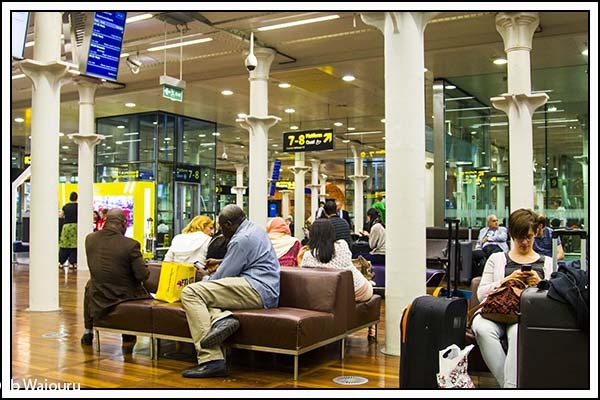 So much for the boring stuff…….. We were heading to Paris to meet our two sons who had been travelling around France during the previous fortnight. Youngest son is the experienced world traveller in the family and suggested we book an apartment in Paris rather than opting for the more impersonal hotel. 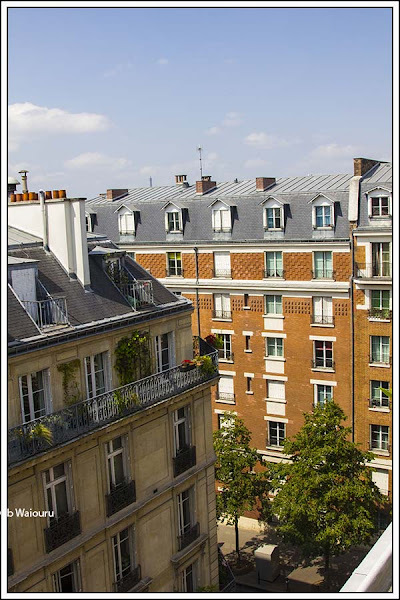 After some research I used the Airbnb website to book a two bedroom apartment near the Eurostar station (Gard d Nord). 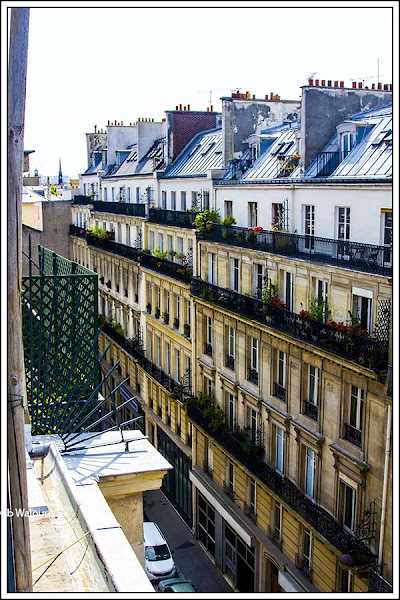 The apartment was inside the Paris ring road and also in a ‘non tourist’ part of the city. The idea being we would experience living in a “real” french environment! It also proved to be cheaper than hotel accommodation. We had already established the route from the station to the apartment using Google Maps and I’d also looked at Google StreetView to see what the door to the apartment looked like. All that research worked and we arrived at the apartment without any difficulty. The problem was that behind the large green doors was a courtyard and three separate locked doors to the various apartments on the six floors of the building. We didn’t know which apartment was ours and it was 10.00pm. Eventually we resolved our dilemma and identified the correct apartment. Of course it was on the top floor. Only three more floors to go! Yes, there was a tiny lift. About the size of a coffin! Our host showed us around the apartment and then departed. That’s when we realised it was actually her apartment. She and her two small children departed to stay with relatives for the duration of our stay! 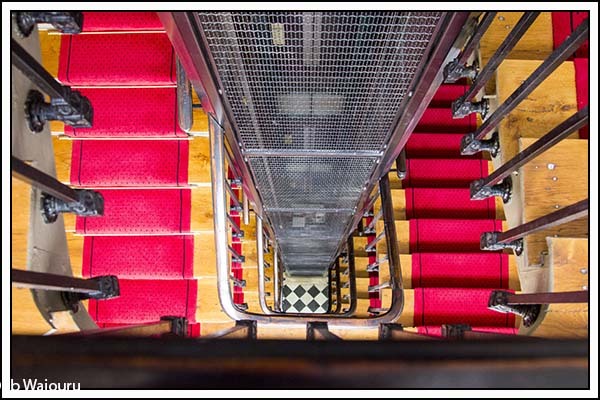 The disadvantage of the apartment was the six flights of stairs. However the advantage was the view living at rooftop level. It had three small window balconies which provided views of the suburb. 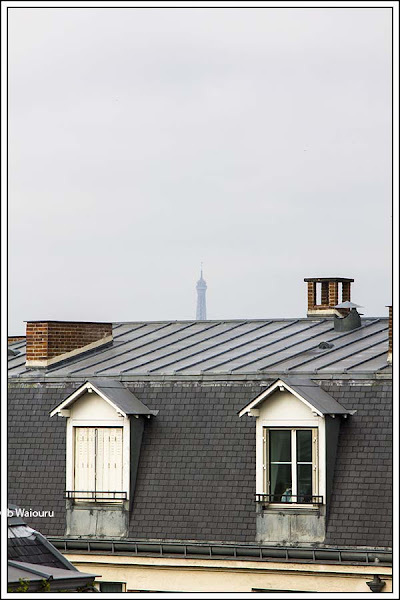 Can you see the top of the Eiffel Tower in the above photo? The plan was to spend two days in Paris with the sons before one returned to Melbourne and the other heads for Peru. 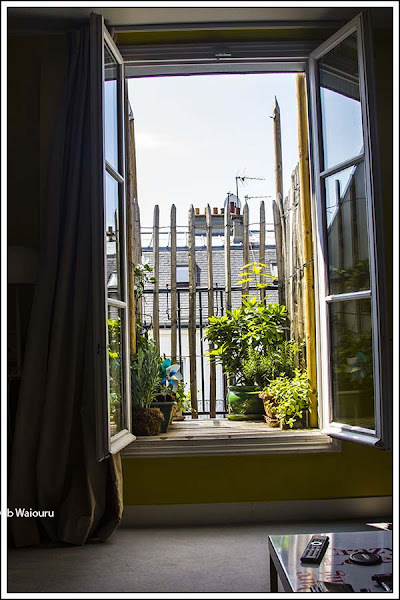 It’s unlikely I’ll write more about Paris…..This is a narrowboat blog! I would have thought that although a narrowboat blog but is also a blog of your travels and tribulations. Therefore Paris fits in nicely. Could go down to the Seine and write about the barges and boats there.